Simply plug the adapter into your PC's USB port and your PC will automatically download the driver from the Microsoft Windows server. You also have the option of installing the driver from the included CD. 1200 (867+300)Mbps wireless speed, Fast configure 1200M AC Router. The data transfer speed of USB 3.0 port is up to 10 times the speed of USB 2.0. This LAPTONE AC1200 USB3.0 Wireless Adapter is equipped with a USB 3.0 port to unleash the power of wireless AC and let you truly enjoy the 802.11ac high-speed experience. 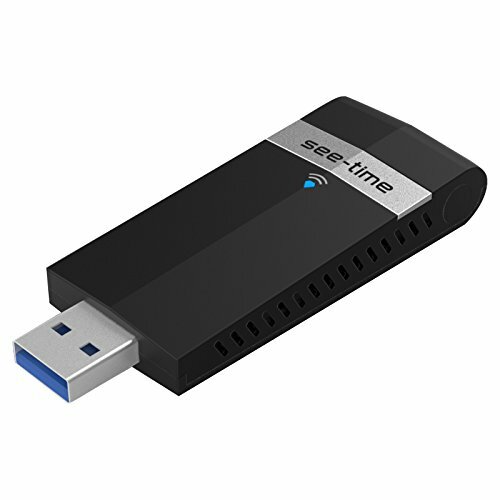 HIGH SPEED DUAL BAND WIFI: This usb wifi adapter's maximum speed up to 5.8GHz 867Mbps or 2.4GHz 300Mbps. Ideal for gaming online and seamless HD video streaming. Ultra-fast AC600 wireless adapter speed with 802.11ac. If you have any questions about this product by Laptone, contact us by completing and submitting the form below. If you are looking for a specif part number, please include it with your message.